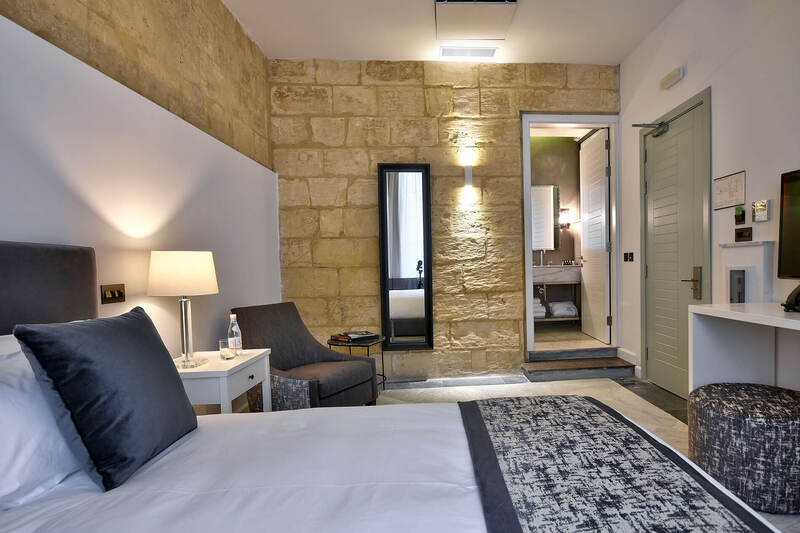 Our Deluxe City rooms are located on the 1st floor, and as the name suggest have large windows overlooking Saint Paul’s Street. 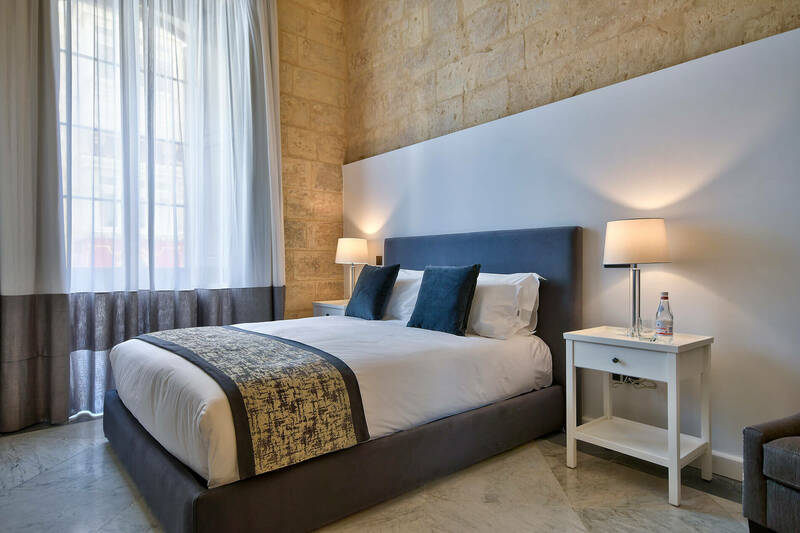 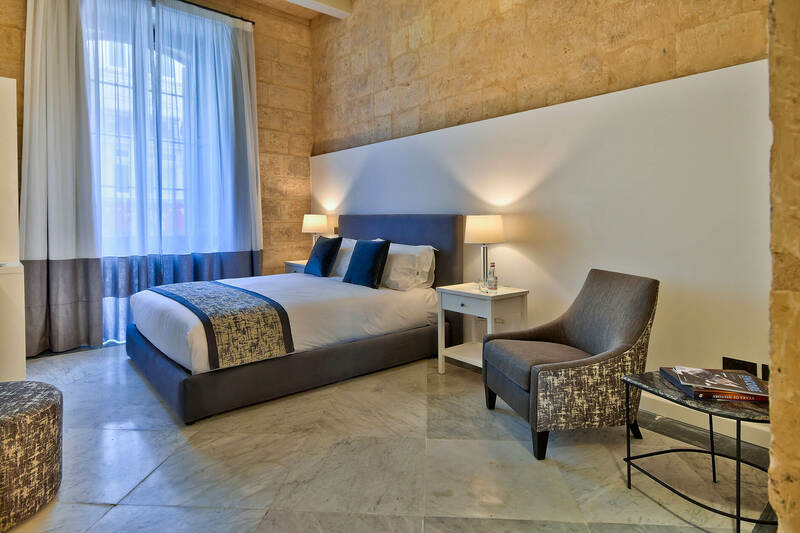 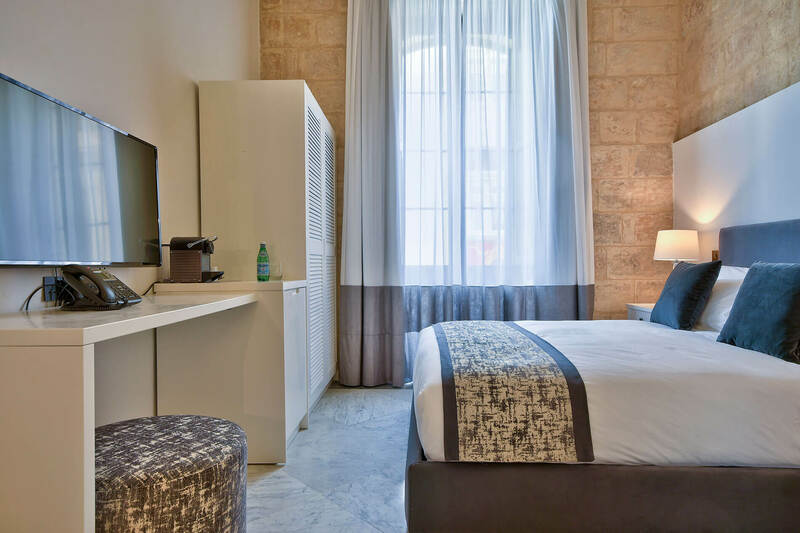 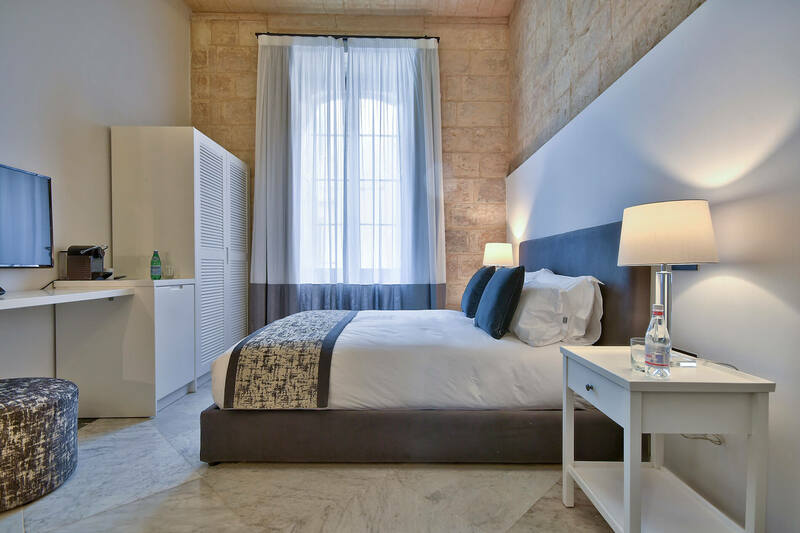 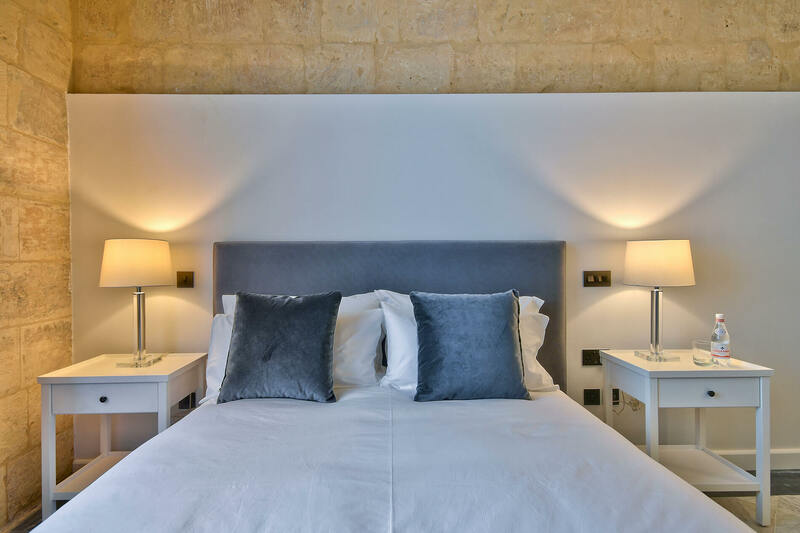 Calm and classic design with original marble floors, high beamed ceilings and many other unique Maltese features. 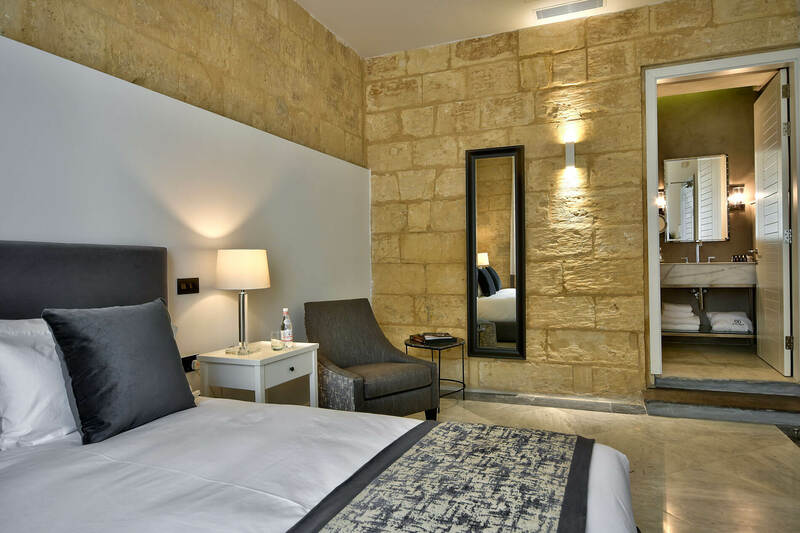 Both rooms are equipped with high quality linens, writing desk and seating area. 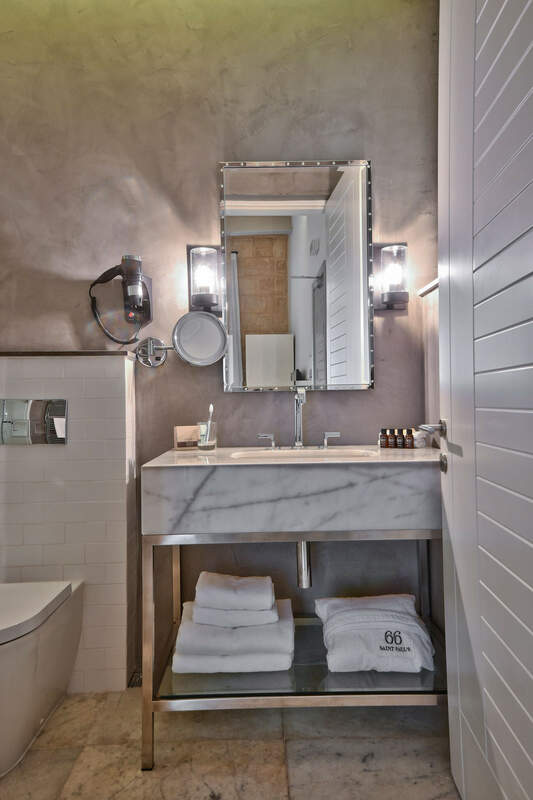 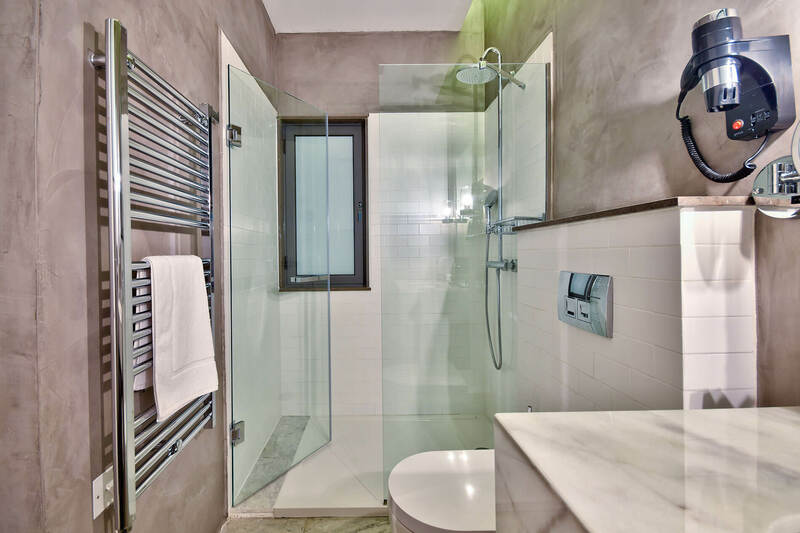 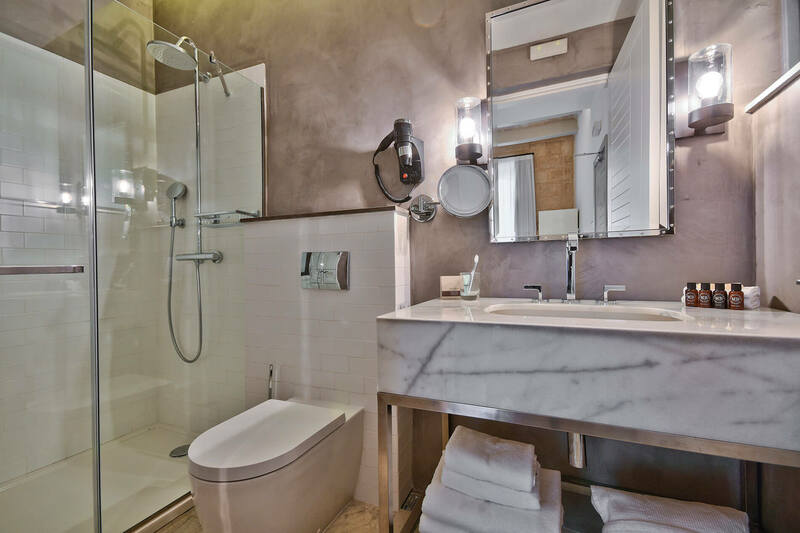 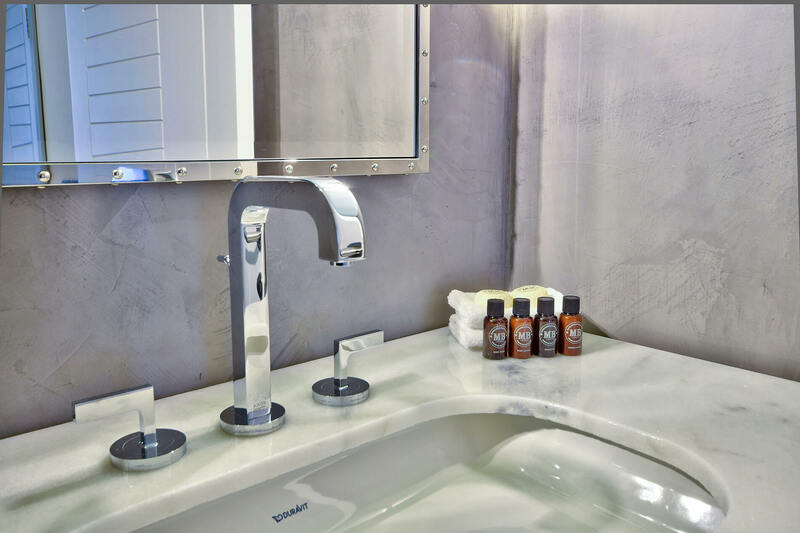 Bathrooms are an elegant mix of marble, chrome and tile, with either a walk in shower or shower/bath.